Living in Ruiselede, a small town in West-Flanders (Belgium), I’m proud to use a beer with local roots in my creations. A brewery named “Urthel” owned by brew mistress “Hildegard Van Ostaden” was found in 2000 in Ruiselede. Although they relocated in 2007, I still consider this beer as a local pride. 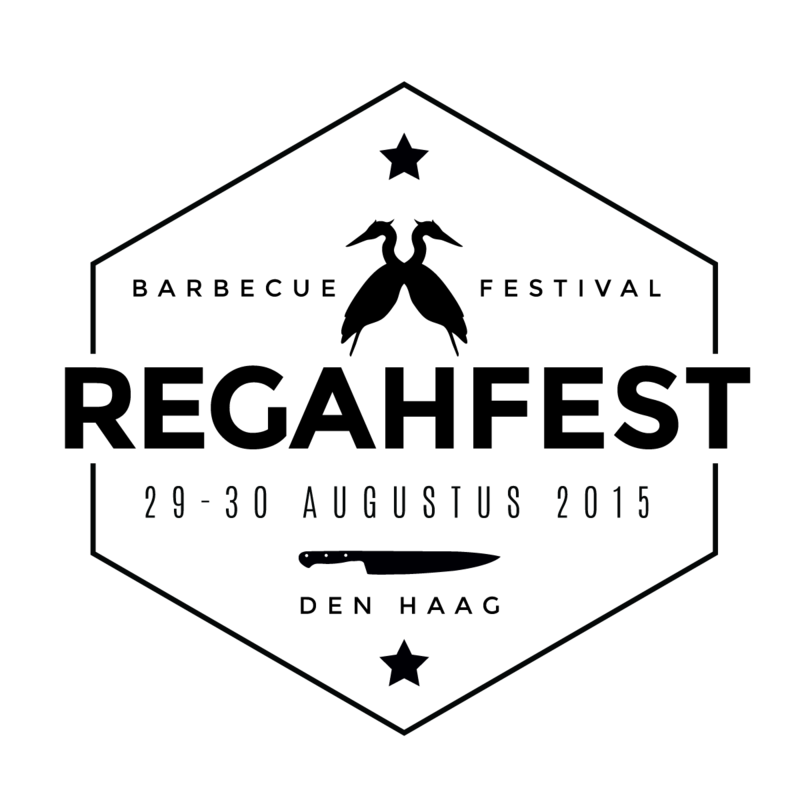 Hildegard delivered some good beers and gained recognition among other brewers. Moreover they won different awards as a crowning glory. 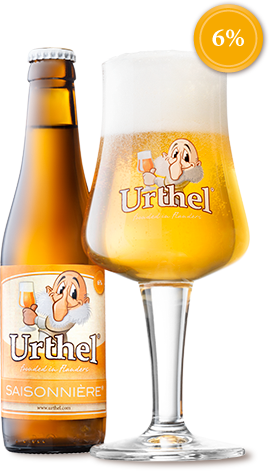 Urthel Saisonière is one of these award-winning beers. In 2010 was chosen as “Europe’s best seasonal Pale ale” at the renomated “World Beer Awards”. 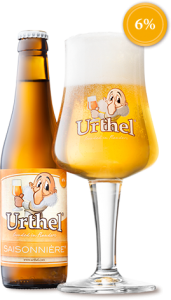 Urthel Saisonière is a top-fermented blond beer (6.0 Vol.%) with refermentation in the bottle. The beer has a subtle bitter-taste but is primarily characterized by it’s fresh flavours. These are the flavours enhancing the mussels. 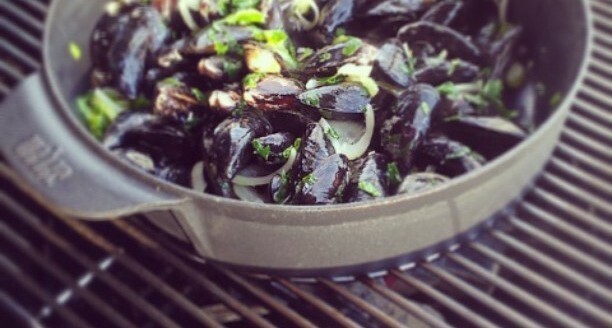 When I first made these Mussels in my Weber Dutch Oven, I posted a picture on Facebook. Among BBQ lovers it’s a right to brag if you made a good meal and a lot of recognition is shared. After posting this meal. Scott from “Miss Piggy’s” showed his interest in this recipe. I promised him to cook these mussels on the next competition we would attend. 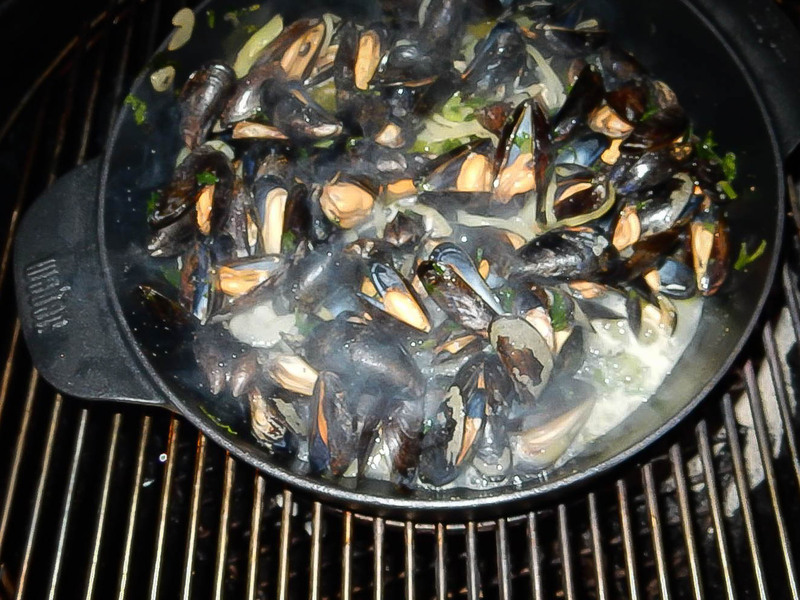 So it happened that I prepared these “Urthel Saisonière Mussels” at Regahfest BBQ festival last edition. As usual I didn’t want to ran short of food, so I decided to prepare a big pot. After eating a whole pile of mussels, Scott noticed he would never manage to eat them all. So he opted for sharing his meal. He told me he loved them and recommended this recipe to other contestants. The mussels were warmly welcomed. They would even fall in the flavour of Chef Johan from the “Longhorn Ranch Hands BBQ team”. He told me he would take this recipe back at his Austrian restaurant “BBQ Longhorn Smokehouse” and introduce it to the chef. This is why I love the BBQ society. Though there is a competition going, there’s no jealousy. On the contrary. I have the feeling there’s a lot of respect among most of the competitors. If you want to try this recipe, go ahead and please let me know what you think about it. 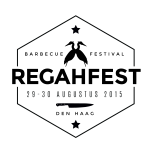 Birger Allary, founding member of Tjoppie Doppie BBQ team, shares his favorite recipe. He uses the local Urthel Saisonière beer to flavour his mussels. The magic of fire and herbs brings these mussels to unknown hights. Tasted and approved by top chefs in BBQ world. Take a Dutch Oven, put it on your BBQ and melt some butter in it. When the butter has melted you toss in the vegetables. Season the vegetables at taste with Santa Maria Style seasoning and let them simmer for a while until they get soft. Add a bottle Urthel Saissonière and wait until the beer begins to boil. Add the mussels and cook until they open up. While doing this you add some fire herbs to the fire. Obviously we don't use the lid. Want to know more about Birger and his passion for food? Watch over here and get to know him better. You’ll also read by whom Birger is inspired. He’s the next person in line. Please leave a message or share this recipe to show some appreciation. Note: I'm not payed nor compensated to advertise the products mentioned in this post. All opinions are my own. Birger is sponsered by Weber. The other products he mentioned are not in his profit either.